The level of political debate coming out of Washington often seems simplistic and limited - but the marketing skills these campaigns apply are leading edge. Indeed campaign marketing has led the industry for many years - developing sophisticated micro targeting capabilities that deliver personalized messages down to individual voters. 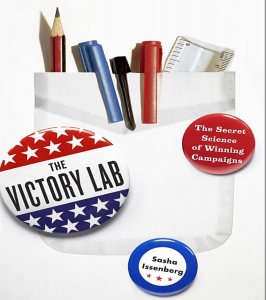 In a readable and entertaining book, "The Victory Lab - The Secret Science of Winning Campaigns," Slate columnist, Sasha Issenberg, explains these tools and techniques - methods that destination marketers and their agencies are only more slowly adopting. Marketing in successful campaigns is driven by complex data capture and analysis - and the application of sophisticated behavioral sciences. This allows campaigns to identify likely voter behavior and to influence them with precisely targeted messages. In a highly competitive travel market, with thousands of destination options, this type of targeting and personalization is also critical to maximizing the ROI of a DMO's precious marketing dollars. The emergence of social media in recent years has also been powerfully harnessed by political parties, most notably in the Obama campaign in 2008, an area where the Democrats had a significant edge among younger voters. Conversely, it was the Republicans who pioneered, in the '80s and '90s, advanced direct mail solutions to target voters and predict likely voter behavior based on factors such as the car ownership and magazine subscriptions of the household. In 2012, destinations able to harness, integrate and manage the complex multi-media landscape, capture and utilize analytics, and re-calibrate for growth in mobile, tablet and social media will have the competitive edge. One factor that hopefully doesn't translate is the relentless focus on negative advertising in political campaigns. However in travel, destinations and their industry partners have far more optimistic and positive stories to target - special experiences and moments in their unique part of the world. Perhaps political campaigns have something to learn after all from the "Victory Labs" of travel and tourism. For More: View the PBS Interview with the Author. Read an Excerpt of the Book (on NPR.org). Visit the Book's web site - The Victory Lab.